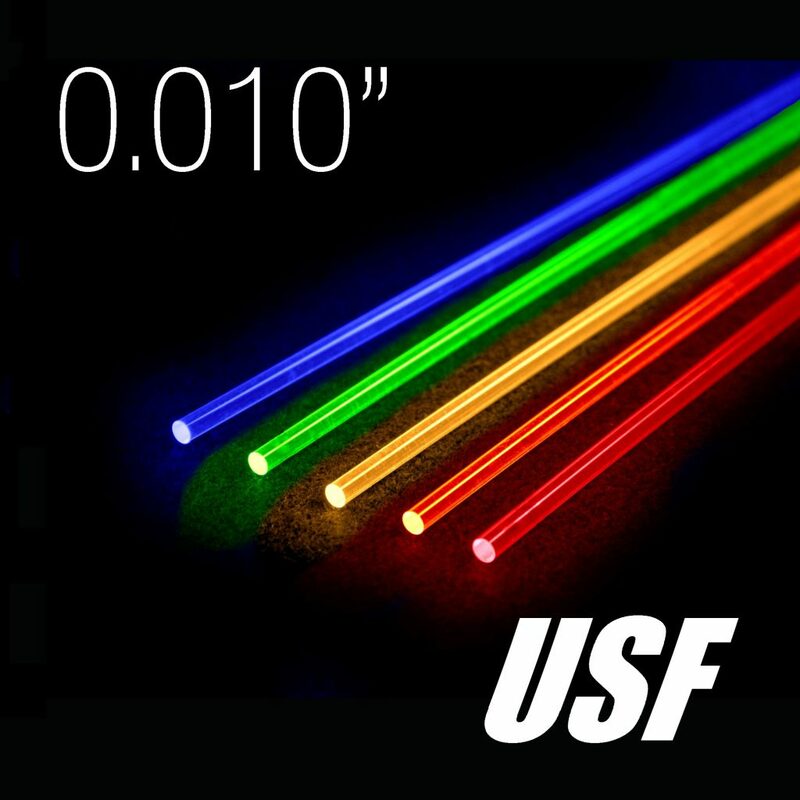 Each pack contains one 12″ piece of 0.010″ diameter Ultra Super Flex fiber in each of our five vivid colors (blue, green, yellow, hunter orange, and red). USF fiber is our standard bright fiber, which is excellent for general use in a variety of aiming applications. USF flares easily with heat (if needed), allowing for installation in nearly all sights styles.